You’ve been counting down the days to your family vacation in Playa del Carmen, and now you can almost taste the salty ocean air and feel the warm sand between your toes. It’s not very often that you get to round up the troops and take a holiday with the people you love most. You know that a lot of awesome memories are going to be made – so maybe you’ve been thinking about hiring a professional lifestyle photographer to capture this moment in time? We know that you love your family, but we also know that getting them organized for pictures on vacation can be like herding cats. This is going to take a little planning, and one of the things to arrange is the best location in Riviera Maya for family pictures. 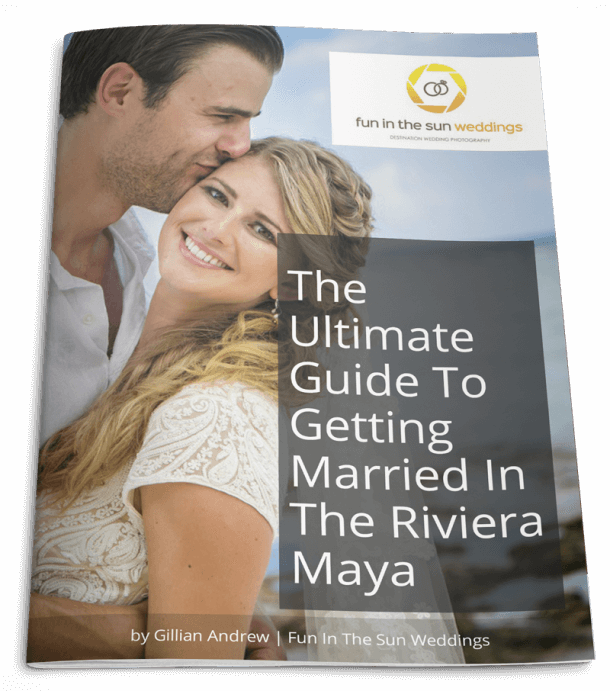 You may already have some ideas in mind, or maybe you just can’t think beyond the beach, but before you start searching for the best Riviera Maya family photographers, it’s great to know what your options are to get the best bang for your buck and avoid any unpleasant surprises. Can we plan family photos at our Riviera Maya resort? With ba-zillion great hotels between Cancun and Tulum, the all-inclusive resort-style family holiday is the most popular choice (and easiest according to Huffington Post). And if you’re hiring a professional photographer for family photos, then the easiest plan is to have them come to your resort. Right? Yes, in almost all resorts in the Riviera Maya, you are allowed to bring an outside photographer in to take your photos. However, it might surprise you to know that you will need to pay an extra fee to your resort to do so. All resorts here have their own outside vendor policy (which can change on a dime! ), and it’s important that you figure out what yours is before starting your search for the best Playa del Carmen photographers. So what can you do if you want to hire the best family photographer in Rivera Maya to capture your memories, but don’t want to pay the penalty? Easy. You meet them at a nearby beach or alternate location and have your session there instead. Which beaches are best for Playa del Carmen family photos? If you are envisioning those frame-worthy family shots with a backdrop of ivory sand and turquoise sea, you’re not alone. Our spectacular beaches are what draw tourists to the Mayan Riviera in droves, and this is the #1 location choice for all kinds of photos. Since we have already established that your resort will be a challenge, then take comfort in knowing that there is public access to some of the best beaches in Riviera Maya. Your family photographer will have the local knowledge to suggest the best location in proximity to where you are staying, and should even be able to help you with transportation if you ask. Want to do a little research on your own? Check out our favorite beaches for photography sessions here. Will a Riviera Maya photographer come to our villa? Absolutely! As far as locations for family photos go, you can’t get much better than a private beachfront villa. Although you can’t be guaranteed total privacy on the beach, there are far fewer looky-loos sneaking into the background of your winning images. And you can move around the property to get different locations and versatile photos. Is the pool a good location for professional family photos? Yes! In fact, when getting kids to smile and show real candid joy, the pool wins out. If you want to choose a location where you can really capture the essence of your family enjoying vacation time together, then forget about stuffing overheated bodies into nice clothes, or trying to tame your hair with salty breezes and 90% humidity. Instead, slap on a swimsuit and have some fun! Isn’t that why you’re coming here after all? *Note: the best months to plan for a pool shoot are between April and October, otherwise you might find the unheated pools a little chilly to stay in for very long! Can we do our family photos in the jungle? You will be coming to the tropics. It’s easy to forget that you are surrounded by lush jungle when you’re lounging lazily at the beach with a frosty drink in your fist, but the jungle is a big part of what makes the Riviera Maya so beautiful. And the dense layers of green makes for fabulous photographs! The best time of day to choose a jungle shoot is when the sun is still high. This gives plenty of light and a cool, shady spot for your family pictures. Avoid booking a jungle photo session within an hour of sunset. Not only will it be too dark to capture the vibrant colors and depth of the canopy, but you are likely to get eaten alive by mosquitos. No Bueno. Can we take family photos at ancient Mayan ruins? What trip to the Mayan Riviera would be complete without a visit to see some Mayan ruins? If Chichen Itza or Coba feel a little too adventurous for this particular family vacation, but you would still love to have a 4000-year-old temple as the backdrop to your family photos, then rest assured you have options. The benefit to hiring local photographers is that they will know exactly where to take you to capture the most unique family photos on your block….and would you believe that you don’t even need to leave Playa del Carmen to do so? With so many fantastic locations for Playa del Carmen family photos, it can be hard to choose just one! That’s why our favorite route for family photography sessions takes us through the jungle, past ancient Mayan ruins, and ends at one of the prettiest beaches in the Riviera Maya. And all in enough time to keep the kids content, and then get you back in time for dinner. Interested? Then get in touch with us today to book! We are Fun In The Sun Weddings, the best photographers in Playa del Carmen, Mexico.